7.06mm x 18.5mm / 0.278in. x 0.728in. 3 Dimensional Cooking Ladle Charm. 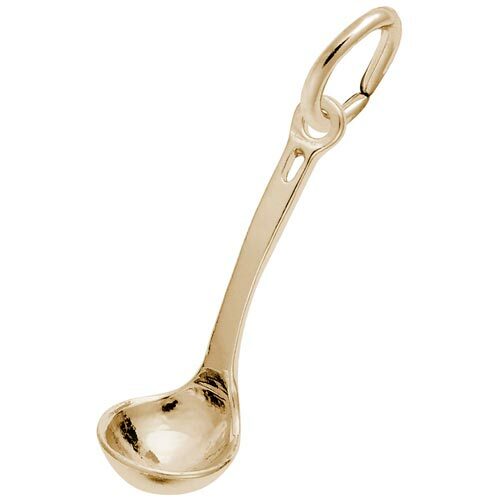 Add finishing touches and give it a stir with the Ladle Charm. Guaranteed to serve up several compliments, this charm is available in silver and gold.